Don't dribble just quick passing will disorientate the defense, only dribble when necessary like to penetrate a gap, or improve a passing angle, or to get out of trouble. The offense starts with a 1-3-1 offensive set where our offense is already positioned in the weak places of the defense. 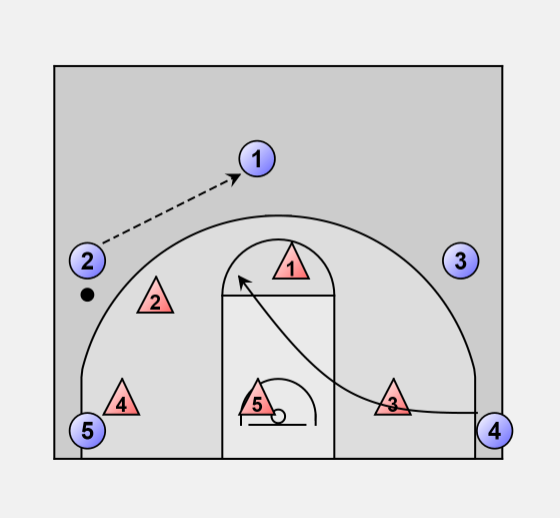 Your high post O4 might initially be positioned along the lane, and then as the point guard brings the ball into the forecourt, O4 makes a quick flash into the high post at the free-throw line. The wings must be high and wide, so that the point-to-wing pass is not easily intercepted. Beat the zone by quick passing and movement, and avoid unnecessary dribbling (which allows the zone to recover). When we the pass is to the right wing, O5 moves to the right corner. Each move is to fill a gap in the zone where you can get open for a pass and shot. O4 moves to the right lane and O3 moves inside the 3-point arc. 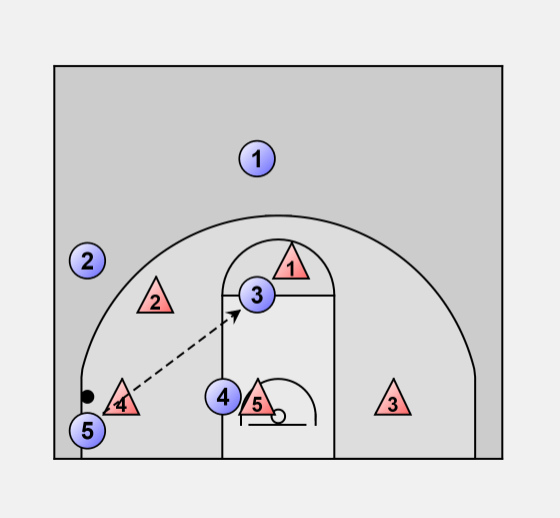 If the ball is passed to the corner, O4 cuts hard down to the low block for the bounce pass from O5. 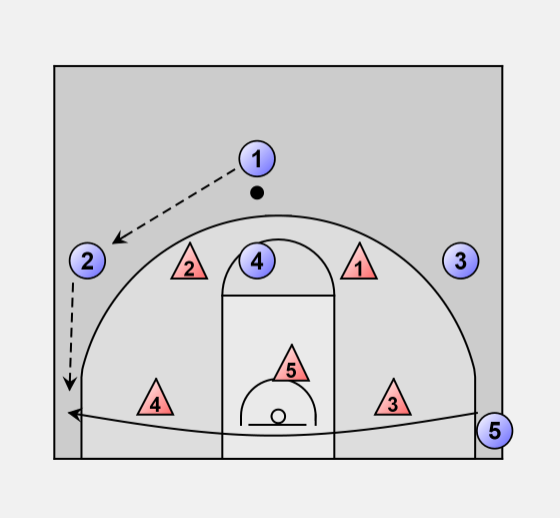 O3 moves to the free-throw line area because if O4 does not get the ball, then O3 is often wide open. If O4 does not get the ball he cuts down under the hoop and looks for the ball if O3 gets the ball from the corner player O5 if not he goes to the weak corner. 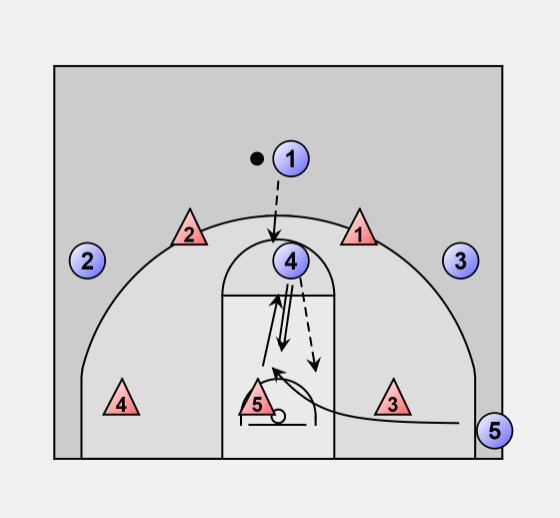 O3 also cuts down and looks even for a easy lay-up. If not post up to the left wing position. When the ball is passed back to O2 move into a 1-2-2 offense. If the ball goes to the left wing O5 cuts to the left corner you can do the play in the other direction. O1 passes to O4. 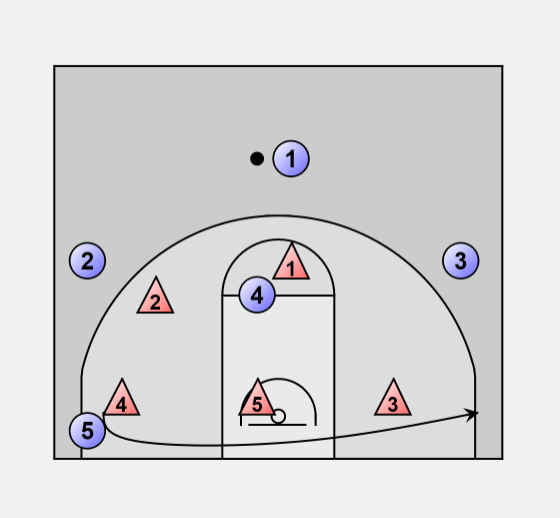 O4 pivots and faces the basket and can take a shot or go for a drive inside. Meanwhile, O5 who has been hiding behind the defenders down low, cuts into the paint for the pass from O4, and the O5 makes the lay-up. 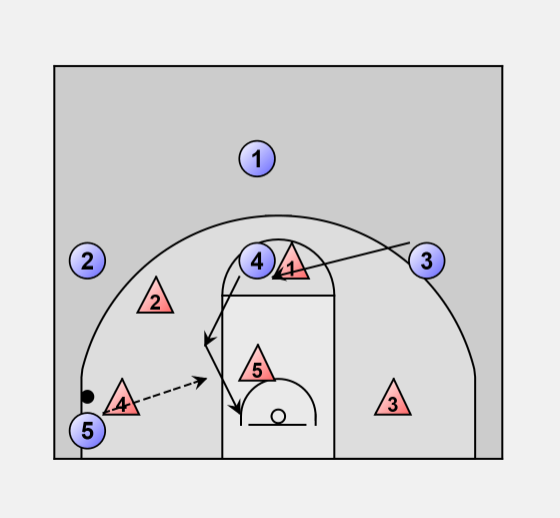 O4 makes the decision here\'85 if the middle defender comes up to block the shot, then just fake a shot and bounce pass it to O5 down low. If the middle defender stays low, then just shoot it. If a wing defender moves in, pass off to that wing, O3 or O2. 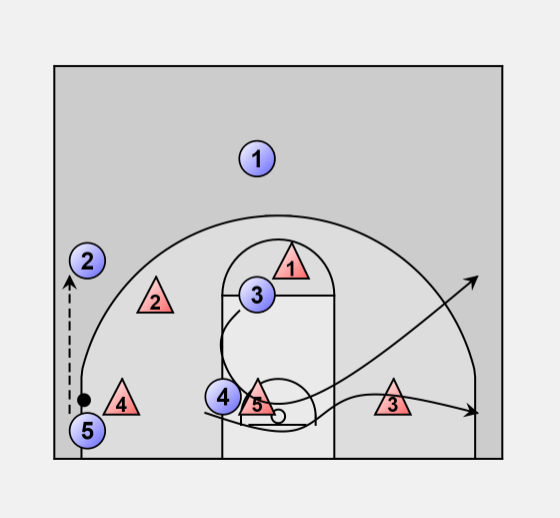 An easy zone offense against a 2-3 or 2-1-2 zone.